HP printing solutions are making it easier and more affordable than ever to focus on what's important—your business. With this HP MFP series, you'll see productivity rise as users can quickly print, scan, and copy—all from one location. Documents look professional with bold, crisp text and sharp images, thanks to the HP spherical toner. 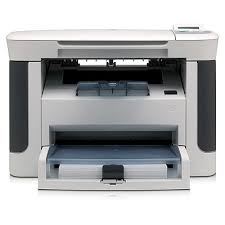 And multiple features—default copy collation, Original HP all-in-one print cartridges with built-in intelligence, and intuitive scanner—make operation effortless. Maximum copy speed: single-sheet copy placed on glass. Print multiple copies of single-sheet original at engine speed. 2-line, 16-character display, menu and navigation buttons (Setup/Enter, Left, Right, Cancel), copy control buttons (# copies, Lighter/Darker, More copy settings, Start Copy). Sheets: 10, envelopes: 10, Transparencies: 10.